Our support programs are as unique as you. Be it last minute intervention to scale up a lagging IT project or get the maximum out of your existing systems, we at Mastermind provide superior support services to our esteemed clients. We are recognized in our line of business for providing on-time support services and the capabilities to resolve difficult issues around Microsoft Dynamics on time to eliminate revenue leaks at your end. For our existing clients, our interaction doesn’t end with the final deliverable of the tech solution. We consider ourselves successful only when we have managed to make a substantial contribution to your profitability over the long run. And this can be possible only because of our near real-time addressing of technical issues and customer concerns. For our new clients who require one-time support on existing solutions or in completing an unfinished development job, our support services are great ways to showcase our technology talent. We make sure to dive right into the issue, plug the problem and come out with a fully functional and successful Microsoft Dynamics technology implementation. Our timely support service makes sure that we add value right when it is needed the most. Also, our commitment to expected outcomes and holistic Microsoft Dynamics competencies is what helps us stand apart competitively. This helps us to scale up rapidly as your full-fledged tech partner rather than a one-time support vendor. Routine maintenance – We know that a well-oiled engine returns a solid mileage. 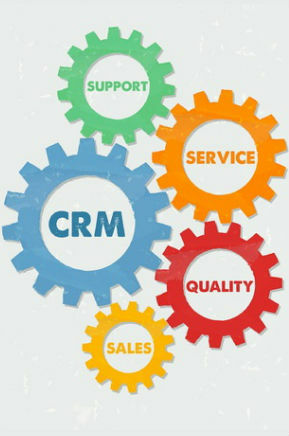 Similarly, a well maintained Microsoft Dynamics technology solution gives you amazing traction even in the longer run. And this can be easily accomplished by opting for our routine maintenance support for your Microsoft Dynamics solution. Minor changes and tweaks too can be handled well. Solution upgrade – In your efforts in shaping your business, it is vital to take cognizance of the technology evolution happening worldwide. If you are looking for a version upgrade or solution upgrade to Microsoft Dynamics then our support service will help you to achieve just that, in the most cost effective manner. Technical issues resolution – Real world practicality may throw up challenges in your technology solutions. In order to ensure that you remain top of your game, it is important to resolve technical issues in a timely manner. This is the mantra with which we provide our technical issue resolution capability as part of our Microsoft Dynamics support services. For Mastermind, the support service is meant to do only one thing – To let your business run at an enhanced level of productivity with our technology competency. So schedule a consultation with us today and see your business go places.